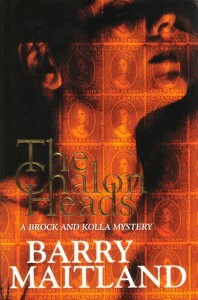 Barry Maitland is the author of the acclaimed Brock and Kolla series of crime mystery novels set in London, as well as the Australian mystery thriller Bright Air and the new Belltree Trilogy. When Sammy Starling, a former London gangster with a passion for collecting, discovers his beautiful young wife is missing, he calls DCI David Brock for help. Ten years ago Starling’s evidence for Brock in a case of police corruption put a couple of cops away – now one of them is getting out. And getting even? As this investigation proceeds, Brock is now the one under suspicion. His team is disbanded and DS Kathy Kolla is unwillingly reassigned. But now she needs to know what links Sammy Starling’s absorption in philately, her new boss’s obsession with two legendary forgers, and Eva’s disappearance. And how will Kolla ever find the answers to this puzzle of kidnapping, murder and revenge?